From an early age I realized that weddings are not for me. Way too many fuss, way too crowded and noisy. As I grew up I managed to escape most of the ones I was invited to yet, there were a few extremely close friends I was not able to refuse and next to I always felt welcomed. a heavenly long flower printed skirt with a white linen shirt did the trick. ladies look stunning in floral dresses or skirts, men can make the perfect pair at a wedding by wearing a dashing two piece blue suit. 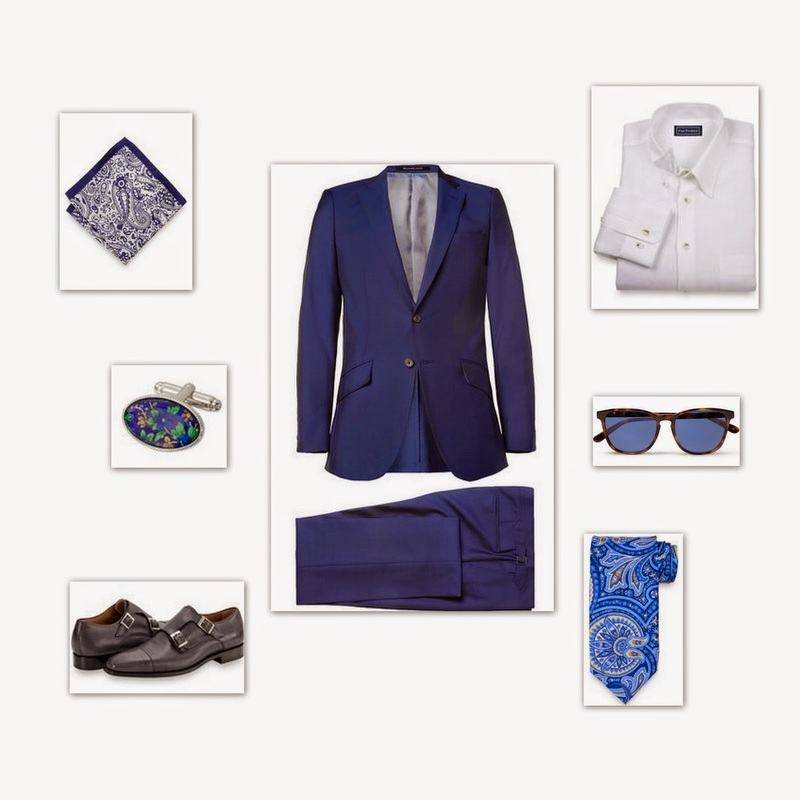 Starting from this sartorial piece, I believe that a white linen long sleeved shirt can be the perfect compliment followed right after by a paisley silk tie and a matching pocket square. basics: an elegant watch, a sharp pair of shades, some classic monk straps and a pair of cufflinks to assure a refined presence. So that was it. my recipe for a sophisticated attire, at a no fuss summer wedding.